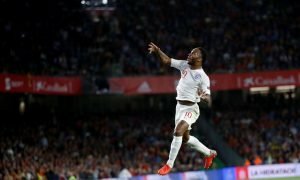 Man United give up in pursuit of ideal summer addition | The Transfer Tavern | Where football transfer rumours fly or die! Manchester United fans at the Transfer Tavern jukebox are disappointed to hear that their side seems to have given up in the chase for an addition that many punters believe would be perfect. The Manchester Evening News states that United have admitted defeat in their quest to land Pep Guardiola, believing that rivals Manchester City have won the race to the Catalan boss’ signature. Guardiola is highly sought after following his announcement that he would not renew with Bayern Munich, stating he wants a fresh challenge and a job in the Premier League. The Catalan boss is extremely successful in his managerial history, with an impressive haul that included 14 titles in four years with Barcelona- including two Champions League crowns that came in victories over the Red Devils. United will instead stick with an underperforming Louis Van Gaal as they feel that they have already been defeated in the race for Guardiola, who is widely tipped to join Manchester City in the summer. With Carlo Ancelotti also out of reach, replacing Guardiola at Bayern Munich next summer, it leaves just Jose Mourinho available from the list of dream candidates that our United supporting regulars want in charge of their club. How much of a blow is missing out on Guardiola United fans? Let us know in the comments below!